I bought this really cute "My Little Pony" plush the other day. It's super cute, but it's mane was looking really awful. 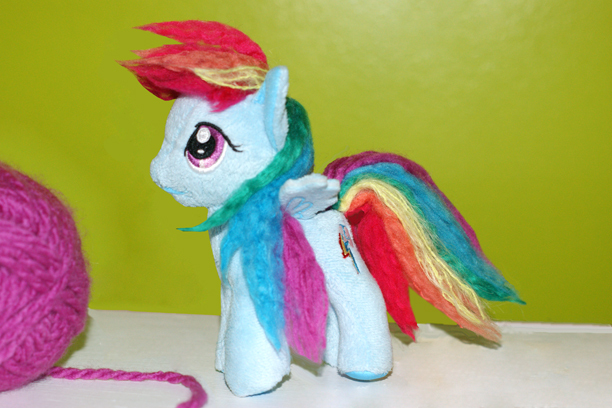 I mean this is 'Rainbow Dash', since when do rainbows come in orange, yellow, blue and purple. Gee, I think we are missing some colors here! 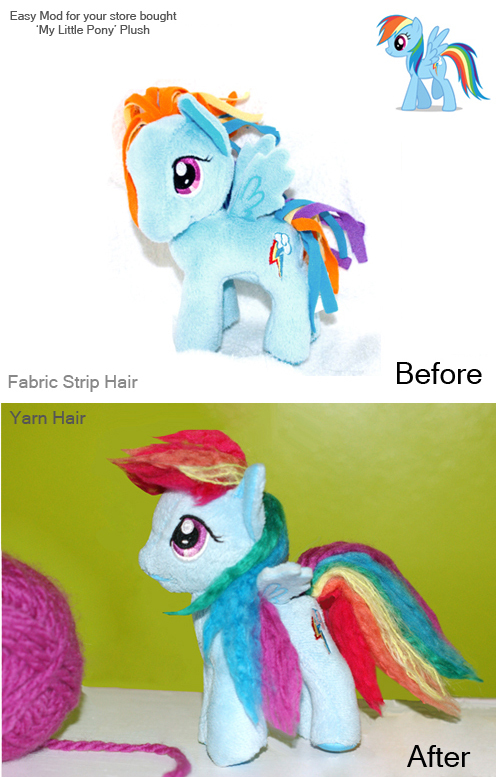 So of course I went to work making a new mane out of yarn. It was really easy to do and I unraveled the yarn and styled it with some water to get that spiked look. I think hair gel would give it even better style hold, but it really wasn't needed. I just let it sit overnight and it worked pretty well. Here is a before and after shot. Find the pattern to make this plush here. Note: I pulled this listing down because another pattern maker made a great pattern with many hair options, so I may release this a free pattern in the future. We see if i get around to it.